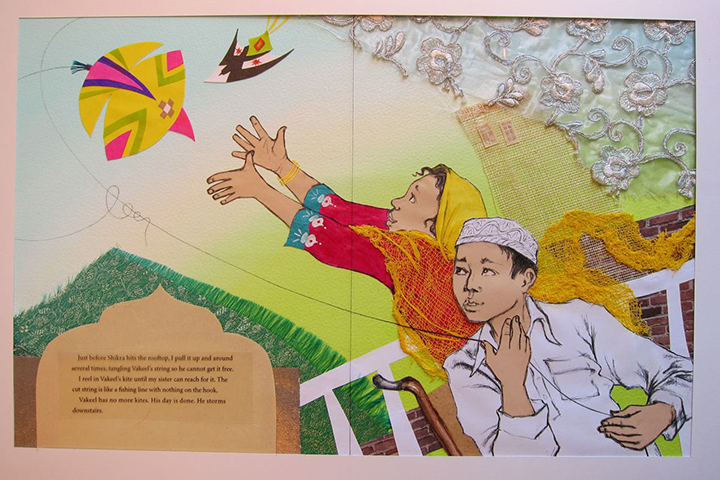 I was influenced by Pakistan’s vivid colors, patterns, and design in folk art, street life, dance, and festivals. The Badshahi Mosque, which was built by Emperor Aurangzeb in 1673 and resembles the Taj Mahal, is located in Lahore, where our story takes place, and it was an important center of Mughal culture. I tried to incorporate this in my illustrations, for instance in the use of Mughal style arches as a design element. I went to buy the Indian and Pakistani fabric swatches I used in Manhattan’s garment district around West 39th Street. Many of the shop owners were from these regions, and when I told them what I needed the fabric for, they started to break out into smiles and tell me passionate stories about their own kite flying experiences. “It can become kind of an addiction,” said one. He even gave me a little discount. 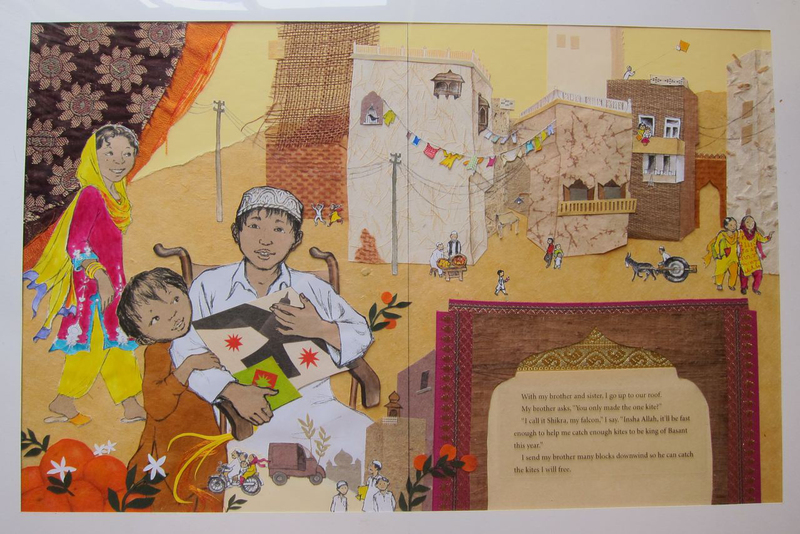 To read more about her creative process, check out this interview she did with Rukhsana Khan, author of King For a Day. Want to see more artwork in progress? Author/illustrator Andrea Cheng shows us how to make a woodblock print and illustrator Beth Lo shares how to paint a ceramic plate. How lovely! 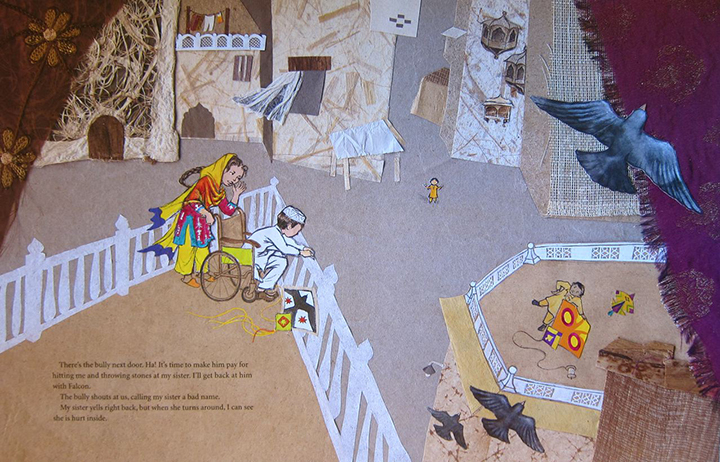 I’m enthralled with the story and the wonderful collages!